The Free RMVB (Real Media Variable Bitrate) Player is a video player that allows the user to create playlists, favourites, etc. It is a very simple player that has many benefits. All those users who have a large number of videos on their devices and wish to segregate them as per their requirements, this software is ideal for the same. The main function of this is to simplify the display and other functions so that the user can view videos on any devices with ease. The Free RMVB Player enables playing, pausing, editing and removing files. Another important feature is that the software has a 'Search' option with the help of which the user can find favourites just by typing the details. The 'Full screen' option is also available with the software. All major functions can be used with the help of a single click. The video and audio qualities remain intact when the Free RMVB Player software is used. The software is compatible with devices using any Windows version. Even the latest versions support the RMVB Player. The user does not need any special requirements for this software to be installed. It is completely safe and is a great way of watching videos on devices without taking much time. All that needs to be done is downloading the Free RMVB Player. For users who have multiple RMVB files, this software is very handy. It facilitates customising such files and even adding and removing them. 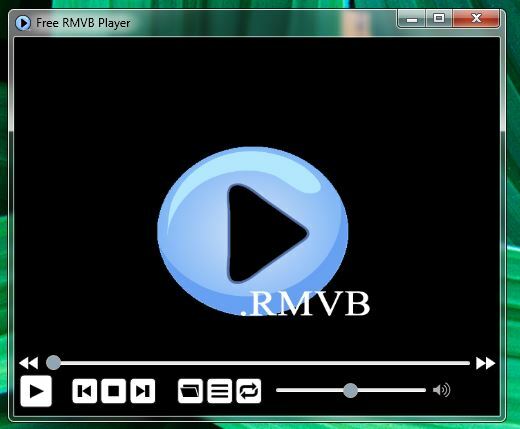 A default start up program enables the user to view specific videos as soon as the Free RMVB Player is used. The user can also control the volume of the videos and even supports media files. The software is indeed very effective to manage RMVB files in a simple and customised manner.